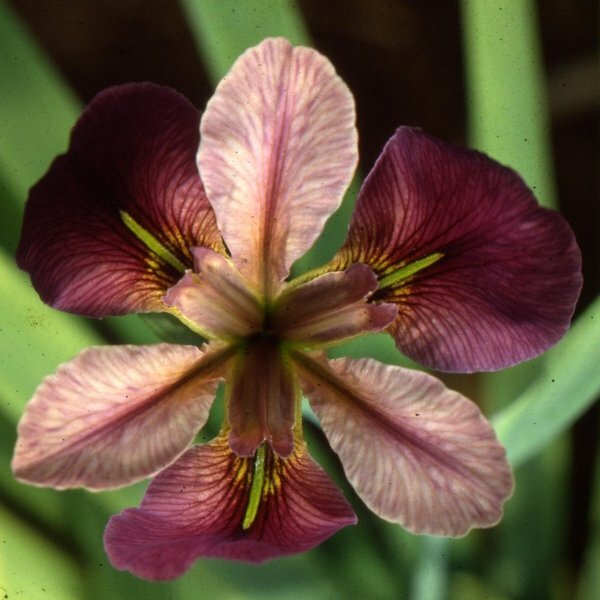 'Marjorie Brummitt' (Frank Chowning, R. 1967). LA, 20" (51 cm), Early bloom. Color Class-O4VRcm, Standards lightest tint of nasturtium red (RHS 14/3); Falls ruby red with orange signal patch (RHS 827/1). From a line of unnamed seedlings descended from 'Cherry Bounce'. Bay View Gardens 1977.